Read Joe Steckler’s Helping Seniors column in Senior Scene Magazine. Read Senior Scene Magazine Online. 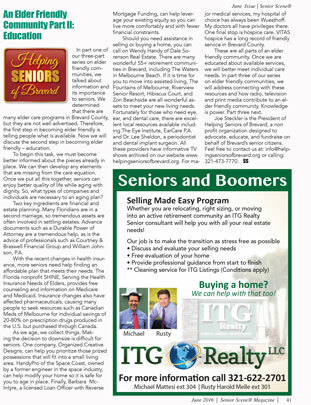 Look for our Helping Seniors of Brevard column each month in the very popular Senior Scene magazine. You can also find our Helping Seniors of Brevard newsletter included, as a special center-section pull-out in each edition as well! You can find Senior Scene magazine, free of charge, at great retailers. 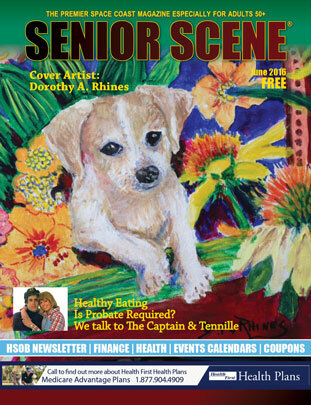 Visit the Senior Scene Magazine Website. A list of locations of where to find Senior Scene Magazine.